Whether it’s a day we get off (or don’t get off), an occasion to give (or get–or both), a day to go to church (or just sleep late), we’re all holy-day and holiday-conscious. And what we get out of these special days of the year can vary from fun to a hangover, from wisdom to foolishness, from happy memories to wondering where the day went. Here is a book of light but deeply significant associations that we can be making with our precious red-letter days. 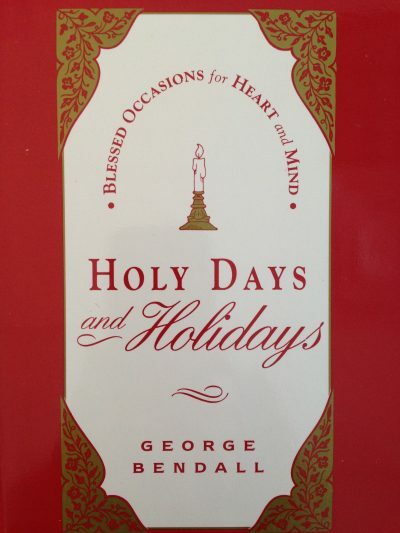 Dr. Bendall, a close associate of Religious Science founder Ernest Holmes and pastor of Founder’s Church in Los Angeles, helped thousands to understand and celebrate holy days and holidays in a way that made them truly happier and more fulfilling.